Inspect, repair, and overhaul of aircraft components through troubleshooting and parts replacement at the component level using technical manuals. Related duties such as updating work orders, verifying part and serial numbers, ordering parts and requesting outside repair work will be required. Working in a shop or maintenance facility on electro-mechanical, hydraulic and pneumatic aircraft accessories, landing gear and associated components. Working knowledge and skills associated with electro-mechanical, hydraulic and pneumatic theory a plus. High school diploma or GED equivalent required. A college or technical degree a plus. A&P Certificate a plus. Good written and oral communication skills. Understand, follow instructions with minimal supervision. Read and understand technical manuals. Organized and have good time management skills. Able to multitask and work on multipe jobs simultaneously. Possess good problem solving skills. Work well with others under pressure and have the ability to think out of the box in difficult situations. Detail oriented.. Interface and coordinate with customer service and other departments. Knowledge and use of personal hand tools as well as industrial equipment such as milling machines, presses, lathes, grinders and precision measuring equipment. We are looking for a goal oriented, self-motivated team player to fill this position. Visit us for a current list of available positions and additional application instructions at www.aogrepairs.com and please reference Avjobs when applying. This Job Report is to be considered - Newsworthy Aviation Employment Information (FYI). No guarantee is made as to the accuracy, completeness or timeliness of any information, projections or opinions in announcements obtained through the Job Report Network. The information contained in this announcement is compiled for the convenience of site visitors and is accepted by the site visitor on the condition that errors or omissions are not the responsibility of Avjobs and shall not be made the basis for any claim, demand or cause of action. Please visit this company's web site for additional details and information. Question: I am interested in getting into an entry-level job in the travel and tourism industry. Do you have any ideas or suggestions for me. Response: You could consider becoming a reservations or ticket agent, also known as passenger service agents. Reservation agents schedule and confirm reservations by telephone or computer and prepare tickets or contracts at the request of customers. They determine space availability and offer suggestions on travel arrangements including routes, time schedules, rates, and types of accommodation. As car rental agents, they rent automobiles and talk with customer to determine type of automobile, location for pick up and return of automobile, and number of days needed for rental. Car rental agents quote costs, and explain rental policies and procedures. While above average growth is projected through 2008 for reservation agents, the increased use of on-line ticketing, may result in fewer position openings. Ticket and reservations agents are employed by transportation companies such as airlines, car rental companies, and/or cruise companies. Currently, many experienced agents are on layoff status, so outlook is poor for entry-level applicants. Larger companies employ both ticket agents and reservations agents, while smaller companies may hire only ticket agents who perform both duties. Some ticket agent jobs are available only through promotion from reservation agents. Reservation agents work in central offices at desks with telephones and computer terminals. Ticket agents may work at check-in counters. A high school diploma, GED, or an equivalent is usually required for entry level positions but completion of related coursework may enhance one's employability. Several local community colleges offer classes and training for reservations and ticket agents. • Internet Travel Research, which provides on instruction on how to navigate and access information from key travel industry web sites. The colleges also provide various levels of instruction on Apollo and Sabre computer systems, the most widely used by airlines for processing reservations. The cost per course is generally $33. There are 42 car rental companies and 76 airlines that operate out of Los Angeles International Airport and 5 car rental companies and 4 airlines that operate out of the Long Beach Airport. Princess Cruises reservation center in Santa Clarita also employs reservations agents. The Los Angeles World Airports website, lawa.org, lists over 50 airlines that fly out of LAX that employ ticket agents. 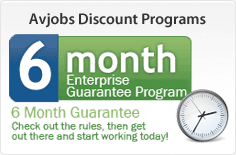 Avjobs, Inc. & Airline Employment Assistance Corp. This is an online career resource that provides employment assistance for jobs in the aviation industry. There are multiple levels of membership offered to meet your needs with an option to indicate job category preferences including reservations. The subscriptions are available monthly, quarterly and annually. Susan W. Miller, M.A., is a National Certified Career Counselor, a Certified Vocational Evaluation Specialist and holds diplomate status on the American Board of Vocational Experts. She heads California Career Services, a private practice career counseling firm in Los Angeles. Email career questions you'd like answered in this column to info@californiacareerservices.com or visit California Career Services at www.californiacareerservices.com.